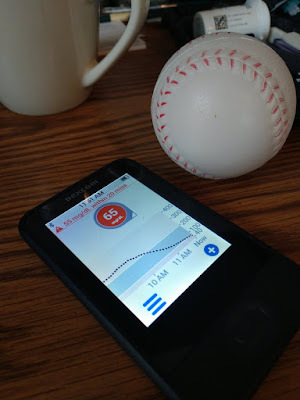 We joined a gym in late July and my diabetes management habits have been noticeably different since then. Combined with lower-carb eating (roughly half the time), I have noticed a dramatic difference in my blood sugars and overall diabetes management and health. Sure, there are days when I feel so much more tired. Because workouts can be physically demanding and energy-draining. But most of the time, even after working out and when my muscles are whining, I feel invigorated and more on top of my game. Insulin Use: During the height of my gym-workouts over the past several months, I noticed that I was using roughly a third less insulin than before -- both my Tresiba basal dose decreased every 24-36 hours, and my monthly box of Afrezza inhaled insulin is lasting noticeably longer and even impacting how often I need to refill my Rx for it. BG Range: Yes, my average glucose has dropped from the low 200s into the high-100s. It's a work in progress, coupled with the fact that I am still experiencing a lack-of-willpower at times in the evening when it comes to snacking. This has been my biggest weakness over time, eating more carby snacks without adequately measuring them -- leading to higher BGs overnight that need corrections in the middle of the night, or even first thing in the morning. Progress, though... I am working on it and trying to limit my evening snacking, as well as weave in veggies and lower-carb snacks instead. 'Lower carb' eating: As noted, we've been pushing toward lower carb for quite a while now -- probably close to a couple years. But over the past six months, I've made a point of being more disciplined on my eating style. By no means do we believe carbs are evil, and we enjoy them quite a bit. We no longer by certain snacks and foods, because (as mentioned above) I have a lack of discipline and willpower and it's better to not tempt myself by having easy access to a food item. There is a lot more produce in hour house these days, though sometimes we buy too much and it spoils. We've been weaving larger portions of veggies into our dinners, which are generally lower-carb about 66% of the time -- (just to name a few examples: organic turkey & brown rice stuffed peppers; squash boats and "zoodles" where you can use zucchini or squash instead of pasta; brussel sprouts, salads, and cauliflower pizza). Of course, there are times we just cave or don't care, and that's what I would say accounts for about a third of our dinner-time choices. Alcohol: Many in the D-Community may recall I'm a fan of beer, especially microbrews. When I travel I like to enjoy a local craft brew and generally I sign on to the #DrinkLocal mantra. However, craft beer is often more nuanced with higher carb counts and potentially even sweeter. So while I still do enjoy microbrews, what's most often in my fridge at home is a lighter beer variety. You may generally find a bottle of the low-carb Michelob Ultra or a Labbatt Blue Light lounging around in there. While a day may come I decide to eliminate beer (and alcohol?) pretty much entirely, that day has not arrived and my health has given me no sign it's necessary as of now. 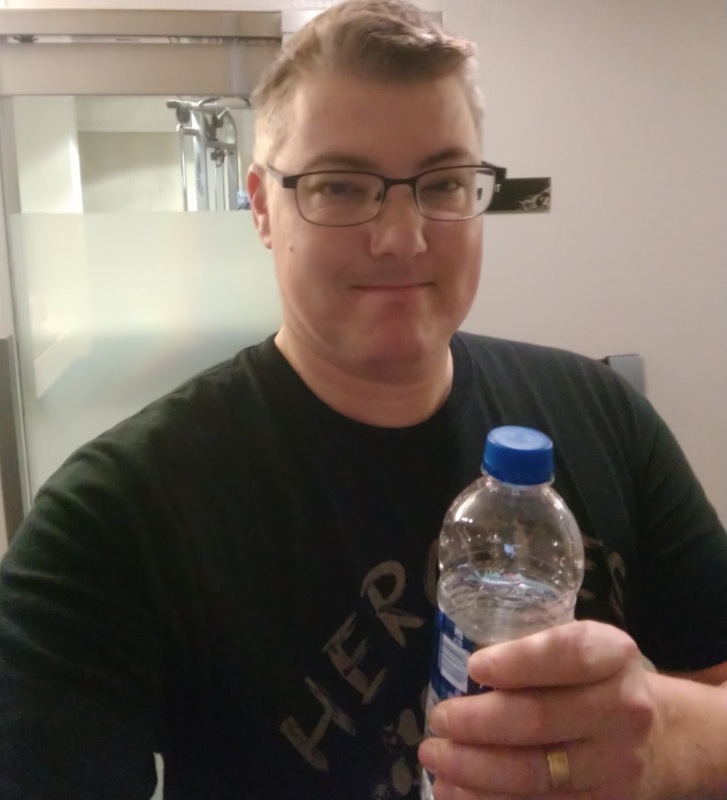 A1C, Not Yet: This isn't a clue for now, since my last appointment in the summer was too soon after these larger lifestyle changes took place and I haven't had another appointment where it's been a full 3 months to warrant a new A1C test. With all of that being said, there's quite a ways to go. We're paying quite a bit of money for the gym and at times for the lower-carb food choices, but it's worth it to us. We have been talking for a few years now about joining a gym, but just had not pulled the trigger on that. Sure, we added some dog-walking and other small exercise components to our daily and weekly routines, but it wasn't anything scheduled and more often we slacked on actually doing what we said we would. As we both head closer to age 40 (I'm nearing that in February 2019!) it became clear that we needed to make more of a concerted effort to improve our health. On the diabetes front, this has always been on my mind. But over the recent years, I've noticed -- aside from my general "beer belly" growing a bit larger -- that it was more difficult to make long walks, navigate large conference centers, or make the trek up and down parking garage stairs. I would get easily winded. On top of that, my niece and nephew (currently ages 6 and 4) take up my attention more often, and simple things like picking them up, playing "airplane kids," or chasing them around the house/yard gets more tiring. I swam for four years in high school and a bit recreationally in early college, but that is pretty much the last time I can proclaim to have taken part in any competitive sport or exercise routine. And any workouts or gym experience is now 20 years in the rear-view mirror. Along with any muscle strength that would've been gained back in those years. So, nearing 40, the time to do something different arrived. The gym we chose is a half-mile from our house, so on nicer days I have the option of easily walking there as part of my warmup and cool-down. We've been pretty good about getting into the gym at least a couple times a week, at least up until the holiday arrived. With work travel on my end, some "real people sickness" and the holiday-time, we slacked a bit in November and December. But we're working to get back into the routine. On days when I didn't make it into the gym for whatever reason, we also have a small amount of equipment at home to use. 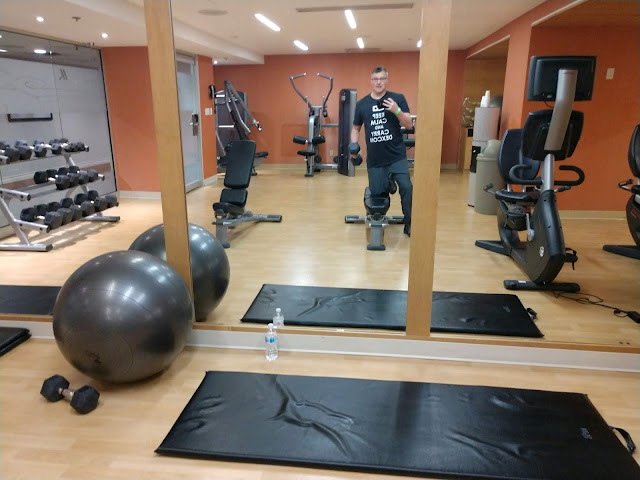 I've also made it a point when traveling for work to make use of the smaller hotel gyms available. Also of note: For the past year or more, I've noticed my left shoulder is much more tense and sore. To the extent I can hardly put a long-sleeve shirt or jacket on without a bit of trouble. While it's possible this is a diabetes-related complication known as "frozen shoulder," I'm not 100% convinced of that and my personal trainer seems to think it's just a rotator cuff issue. So we have been doing specific stretches and exercises to battle that... and I've noticed it has helped a little bit. This may be a sign of age and even the need for a new bed and mattress, but that's TBD. At least the bands help and for now, I'm happy with this. 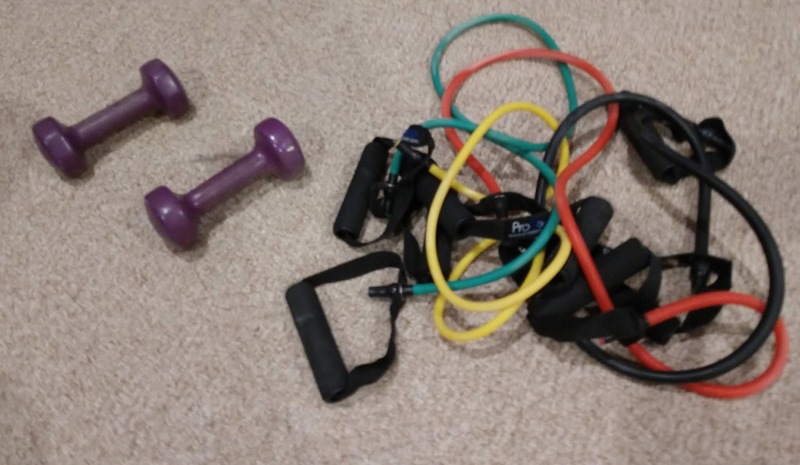 Our personal training sessions end soon, but we have a gym membership through 2019 so we'll be in there multiple times a week getting our workouts on. Here's to a healthier year as we move into our 40th birthdays. As I mark my 34th year living with type 1 diabetes, it's a perfect chance to pen a letter to my lazy pancreas. You know, the main culprit behind this chronic condition who managed to convince my immune system it ought to attack what it shouldn't. But before we get to that, let me recap my D-story for those who haven't heard it before. Being 5 years old at the time, I don't remember too much. I'm not exactly sure when my diabetes anniversary actually is. I have self-designated March 10, because that's as good as any date. And because it happens to be Chuck Norris' birthday, so for me it adds a theme of karate-kicking diabetes into line. Anyway there was an overnight visit to my paternal grandparents' home. An unfolding of events that mirror many diagnosis stories -- waking up during the night, excessive thirst, frequent bathroom trips, moodiness (for a 5-year-old). My grandparents explained these symptoms to my parents, who instantly knew there was a problem -- as my mom has been a type 1 since she's been 5 years old herself. Luckily, due to my parents' preexisting knowledge of "juvenile diabetes" as it was referred to then, they acted fast and thus BGs were only into the 200s at the time I was admitted to the hospital. Tests confirmed the suspicions, but I stayed there for just three days, since I'd been diagnosed early in the "honeymoon" phase and my parents already knew most of what they were instructing on diet, injections, and so on. The rest, as they say, is history. 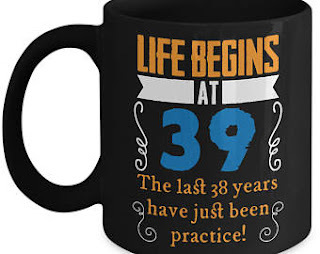 34 years' worth now. You are damn lazy. You've not been doing your insulin-producing job for more than three decades now. Our relationship can be frustrating and occasionally your failure really gets me down. At times, it can be scary. As I near my 40th birthday and have lived more years with diabetes than without, complications have become a reality and I do fear that more may come as I get older. I also realize that I'm one of the "lucky" ones, as I'm able at this point to afford what I need to stay healthy. And as much as I take my health and often that access to meds and supplies for granted at times, I recognize that many don't have that luxury. And so with your help, Dear Pancreas, I use my written voice to help in whatever ways I can. At least for the most part of the past decade, I've not been too angry -- because your slacking has brought incredible moments into my life that wouldn't have existed otherwise. 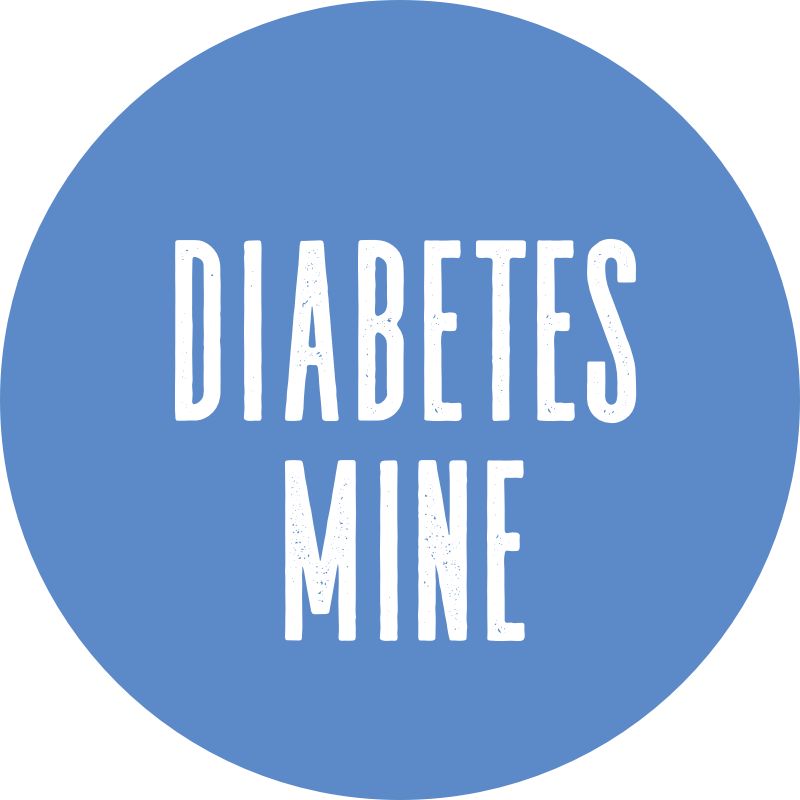 Mainly, a connection to the Diabetes Online Community (DOC) where I've met amazing people. And the ability to use my journalism background to work to help inform others dealing with this disease, while also "wearing the advocacy hat" to make a difference in other ways. For that, I must say Thank You. You are a complex organ and many mysteries remain in trying to pinpoint the causes of T1D and why you do what you do. And make no mistake: If I could trade you in for a better pancreas, I might think about it. But all in all, I appreciate you. I'm still standing, and feeling pretty well right now to boot. I also want to recognize a few individuals who were the first to play a part in my diabetes care. We all have them -- those "first responders" who helped us get through diagnosis and learn to thrive. Dr. Friendly: You diagnosed me with type 1 way back in 1984. We came to see you at Children's Hospital of Michigan in Detroit. Although the details are fuzzy, my mom and I both remember that you were very nice and really cared. Unlike other docs through the years, you were very good at dealing with kids and didn't try to treat them like little adults, meaning you didn't have expectations that I'd follow rules and routines like older patients might. Not long ago, I found you on Facebook and it's been great to reconnect online! I believe every PWD should start their journey with someone caring like you, because what mattered most to my 5-year-old self is that you didn't make diabetes scary; you made it seem doable. Dr. Strict: You teamed up with Dr. Friendly a few years into my diagnosis, and we were together through the time I was about 18. While I remember you knowing your diabetes management tenets of the 80s and 90s, we didn't see eye-to-eye on how to communicate. You were very tough and liked to use scare tactics to convince me why D-Management was so important. What you didn't realize was that your attitude and judgement made me rebel even more. I heard those horror stories all the time, and didn't need your reminders at every visit! Of course, my double-digit A1Cs were bad news... but the support and two-way discussion I needed wasn't your strong suit. Now of course I regret not taking my diabetes more seriously back then, as you were just trying to make me understand. One memory stands out among the rest: You looked into my eyes after seeing my 15% A1C, and told me that I was killing myself and would be dead by 21 if that continued. Yes, that was harsh but it was a truth -- and it set me straight for a time. So that particular scare tactic worked briefly, but it didn't inspire long-term change. That didn't happen until many years later when I found hope, a purpose in my life, and peer-support that truly gave me the empowerment and motivation needed. And make no mistake: long-term motivation is the stuff of survival. Since 1996, I've continued to maintain contact with Mike and his family as a friend and at times a consultant. 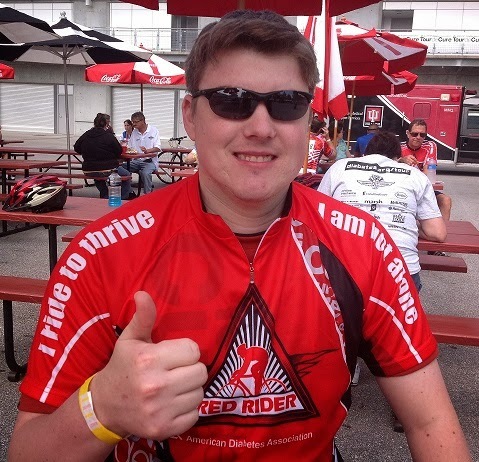 I have seen Michael grow from a brave little boy who did not complain about taking insulin injections or having to follow a diet, to a mildly rebellious teenager and now to a responsible man who is married, working in the newspaper industry, and taking charge of his diabetes control. Nurse Kathy, thank you so much for all you've done for me through the years. You now have your own private health education and consulting practice and it looks like you're doing great. The advice and care you gave me when growing up helped empower me, and that's been invaluable. Now that I've moved on from general and legal news reporting to diabetes journalism here at the 'Mine, and in connecting with many more CDEs through the years, I can appreciate even more how much you did for me early on. Also, just so you know: Froggy still sleeps with me each night, as he's still my special "Frog Before Diabetes." There aren't many memories or items that have stuck with me from those very early days, but an image of your face always did -- and still does now -- bring a smile to mine. All I can say now, once again, is Thank You! So, whether your diabetes diagnosis was over 30 years ago, like mine, or whether it's another day of the year or even a day you don't remember, happy diaversary to you too! Here's to long life with many positive influences!